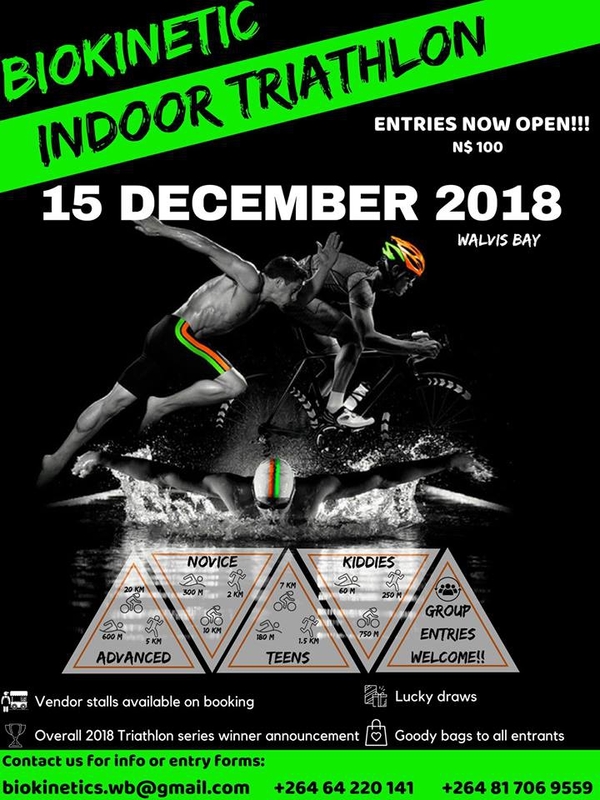 Entries for indoor & outdoor triathlon now open!!!! Contact us on 0817069559/220141 or biokinetics.wb@gmail.com for entries/vendor stall bookings/or just general info!! Guaranteed day filled with fun, food and drinks available to buy with several vendor stalls to browse through, and jumping castles for the kids. A beverage tent will also be available to chill under and enjoy good company. What is better than good company and good music played by one of our local DJ artists?? All entrants will receive a goody bag and will be entered into the lucky draw. Spectators/ family/ friends can also enter the draw for only N$50/ ticket. Awesome prizes up for grabs, total value of prizes are N$ 30 000. Entrance fee for spectators are FREE! !